James Tabor is an intelligent and questioning scholar, however he seems to be on the wrong track. He belonged to the Worldwide Church of God when he was young, founded by Herbert W. Armstrong, whom I met once when listening to a talk he gave. The DNA tests did not exactly provide the results he claims, he ignored Pfann, Spigelman and Rollston. Of course, he also had to emphasise Feuerverger, Kilty and Elliott, providing statistics that have also been questioned. I would like Dr. Kelly Kearse to comment on the DNA contamination. Further to the above, it seems that it is being taken for granted that all Jews buried in Jerusalem during the Second Temple period were buried wrapped in the same kind of shroud. Was the same kind of burial cloth used to wrap, say, Caiaphas or Herod? The man found in Akeldama, in the so-called “Tomb of the Shroud”, referred to above, was in a tomb with 20 ossuaries, only his loculus was plaster sealed because he was a leper. There seem to have been other rules when it came to crucified people like Jesus, but this topic is for “Jesus was not buried in Talpiot, Part IV”. Did Tabor find a body/skeleton in his shroud? If so, was it wrapped head to toe, or side to side? 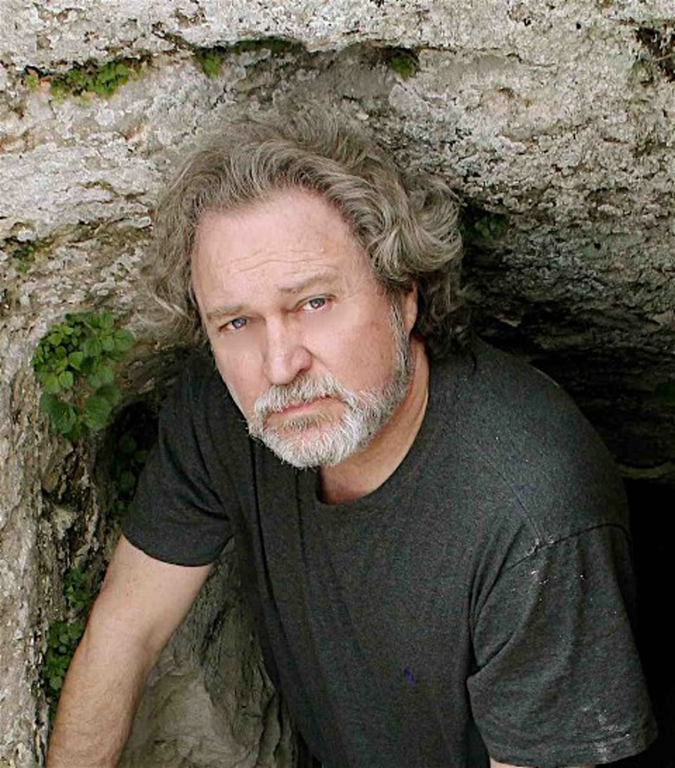 James Tabor is not an archaeologist, he is a professor, and accompanied the archaeologists. The tomb had been looted in antiquity and just some bones, hair and bits of shroud textile were found. The position you are looking for cannot be determined. It was the shroud that drew attention. There was a decayed body in the shroud, and there was material associated with much of it. However the biggest shred was only 16cm along its longest axis, so it is impossible to say if there was really a shroud at all, let alone its shape, or if, as Diana Fullbright suggests, he was buried in clothing. If the material had been assembled into a single sheet, it must have been a patchwork rather than uniform, which is perhaps odd as other findings suggest that although the dead man had leprosy, he was nevertheless well cared for in life and death. I don’t think that this finding can be taken as any kind of ‘typical’ or ‘regular’ shroud from which the Turin shroud is an exception, or indeed, vice versa. And as for “a distinctive 1st century weave,” that is, of course, nonsense. All the fragments are of simple over-and-under weave, typical of every century since weaving was invented. I’ve read a couple of books by Tabor and I have always come away with mixed feeling. I personally am not convinced by many of his assertions. The man came from an aristocratic family and it seems that the case was unnecessarily used to make a comparison with the Turin Shroud. Louis wrote, “James Tabor is an intelligent and questioning scholar, however he seems to be on the wrong track. He belonged to the Worldwide Church of God when he was young, founded by Herbert W. Armstrong, whom I met once when listening to a talk he gave. I believe that this is in reference to one of the ossuary sites involved in “The Lost Tomb of Jesus” production in which it was claimed that because two individuals, a male & female, did not share the same mtDNA they were probably married. Take away the speculation & the sensationalism and the scientific data to directly support such a conclusion is lacking. It is difficult to know what the significance of “more surprises” in this follow up means-how much scientific merit is involved as opposed to simply suggestiveness. Time will tell if any such studies make it to a first (or even second or even third) tier science journal. Thank you, Kelly. I had wanted to know how much scientific support there could be from another source. So my review above was correct about the speculation and sensationalism. As a plain weave, it cannot be said to be “distinctive 1st century”. The mixture of wool and linen is curious, and would seem to breach Judaic laws mixing the two. Perhaps as a leper, this may not have been objectionable,as he was already unclean. Diana Fulbright’s paper has a variety of shroud types, some also from the 1st century, some of animal hides. There was a wide variety of burial garments in the 1st century, some excessively expensive, to the point where Gamaliel II directed that he be buried in a plain shroud, and this became the subsequent custom, unless the deceased happened to be clothed in his normal attire. The anniversary custom of placing the bones in an ossuary, discontinued after 70 AD, was apparently not intended here, as unusually the tomb was sealed. The 1st century ossuary practice means that few other 1st century Jewish shrouds have survived, and a unique case cannot be said to be typical of anything. Discovery of a single pine box cannot imply that all modern western burial coffins are pine! . Fulbrigth’s article (Fulbright, Diana (2010): “Akeldama Repudiation of Turin Shroud omits evidence from Judean Desert”. ENEA, Frascati, http://www.acheiropoietos.info/proceedings/FulbrightAkeldamaWeb.pdf) compares the fabric of the Shroud with other fabrics of some different countries and epochs and this is irrelevant. Shamir speaks about the determinate place and time. PS: Ah, by the bye, anybody can tell me in what university Diana Fulbright was teacher? I need the datum for my blog. Thank you. Hmmmm.I still think there is limited research / study in this area. I would have thought some serious historical research could yield results. I find it hard to believe that historians cannot establish a likely historic setting for the production of the shroud. In light of lack of permitted additional testing etc. this seems one of the most fruitful potential avenues. Diana Fulbright is recorded as a student of Birger A Pearson in the latter’s book ‘Nag Hammadi Codices IX and X’ (1981), and Pearson is (Wikipedia) “Professor Emeritus of Religious Studies at the University of California, Santa Barbara and Professor and Interim Director of the Religious Studies Program at the University of California, Berkeley.” In 2002 Fulbright is recorded (in her paper ‘Forelocks in Early Christian Tradition’) as Instructor of Sacred Scripture and Biblical Languages at the Mary Mother of the Church Abbey, Richmond, VA, where I think she can still be found. You are wrong in some points, Daveb. There is not a “mixture” of wool and linen threads in the Akeldama Shroud and the mixture was not forbidden in the Jewish law. Cf. Orit Shamir (2007) and (2015). The textiles of the shroud are separate layers (not “mixture”). In 2007: 78 they are described as layers of linen and wool. In 2015:3 only wool. I don’t know the reasons of this change. “The mixture of wool and linen is curious, and would seem to breach Judaic laws mixing the two”. “Wearing garments of mixed wool and linen – which is called in the Hebrew sources sha’atnez – is forbidden by the Jewish law but it can be used to make shrouds for the deceased (Shamir 2015: 4). Shamir, Orit: “A burial textile from the first century CE in Jerusalem compared to roman textiles in the land of Israel and the Turin Shroud”, SHS Web of Conferences 15, 00010 (2015). Thank you for the correction re mixture of wool and linen. I was relying on Fulbright’s quoting of the discoverer, Prof Shimon Gobson in company with James Tabor, and the two types of cloth surprised me. Fulbright herself says that there seemed to be four types of garment, and it wasn’t a shroud at all, as has been incorrectly reported. Yes I can understand how the mixture might be acceptable in the case of a burial cloth, I may have come across this info previously. She mentions that some fabrics are S twist and some Z, but does not make clear whether these refer to wool or linen. I do not see a problem with authenticity merely the fact of the TS being Z twist, nor that it is not plain weave, because of various active trade routes, the possibility that it may have been imported, even from outside of the Middle East. I do not see that it is necessary for the TS to have a Jewish nor Middle East origin in order to be authentic. I may have commented previously that it may just as easily have been put on the Palestinian market by a Roman soldier previously garrisoned in Gaul for all we may know, Babylonian cubits notwithstanding. Manacorda about the place of exile of Herod (= Lugdunum Convenarum)? >”Rome in the Pyrenees” is a unique treatment in English of the archaeological and historical evidence for an important Roman town in Gaul, Lugdunum in the French Pyrenees, and for its surrounding people the Convenae. The book opens with the creation of the Convenae by Pompey the Great in the first century B.C. and runs down to the great Frankish siege in A.D. 585 and its aftermath. >Now the town of Saint-Bertrand-de-Comminges, Lugdunum is one of the best-known Roman towns in Gaul, with a rich selection of monuments at the town itself and important remains in the countryside, such as the classic villa at Montmaurin or the votive altars, cinerary caskets and sarcophagi in the local marble. The book traces how the Convenae used their marble to help create their identity, invisible before Pompey but amongst the richest and most distinctive in Gaul by the second century A.D.
>Drawing on his own excavations at Saint-Bertrand and the extensive earlier and recent work there, Simon Esmonde Cleary combines a clear description of the buildings and monuments of Lugdunum and of its countryside with a discussion of what they can tell us about the impact of Rome on this remote corner of its empire.